Since the weather’s taken a turn for the worse, I thought I’d update my favourite autumn scarf post and show you my favourite winter scarves: the scarves I wear when the wind is howling and I can’t quite face going outside! 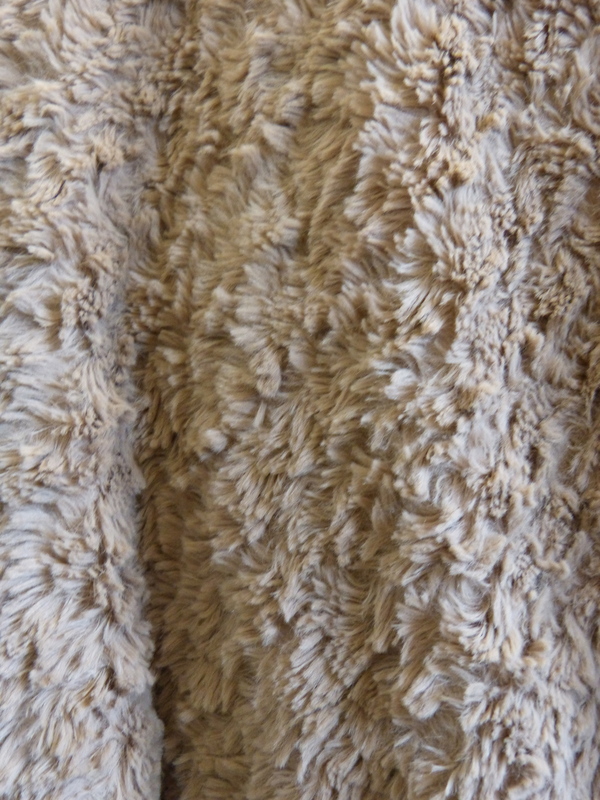 Read on for a rundown of the fluffiest, wooliest, and most stylish winter scarves in my wardrobe! First up is this wonderfully fluffy snood, which was a Christmas present from my boy last year, and it’s from Oxford-based boutique Ansari. They have a similar one this year, which you can find on their website, and soon you’ll be as snuggly warm as me! When I wear this, I always feel like a lion with a big poofy mane – this is my only snood, and it’s so huge. You’ll never get a cold neck with this lovely. Another Boyfriend present, this one from Edinburgh! 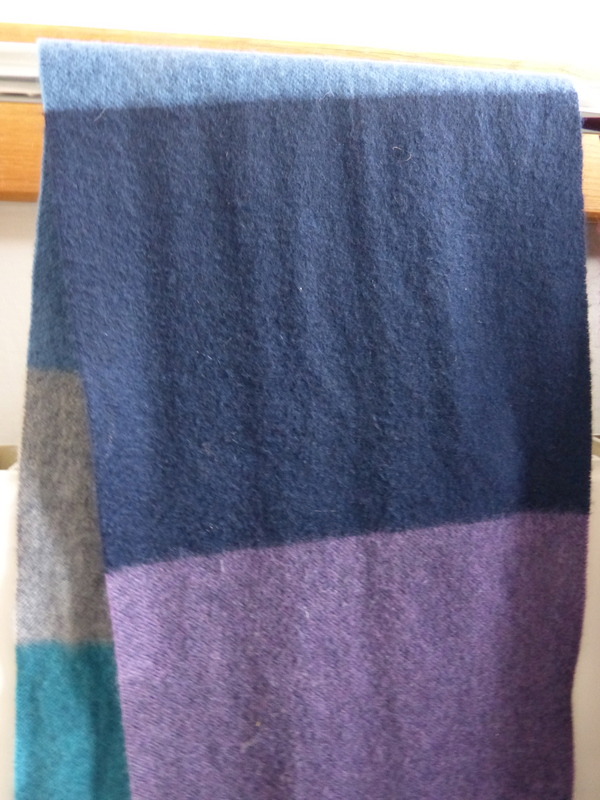 A gorgeously soft cashmere scarf in all my favourite colours, I tend to wear this one when I’m feeling a little bit smarter and want something a bit more clean cut than a huge cable knit beast around my neck. I doubt that you’ll be able to find the same design (from House of Edinburgh), but there are some lovely cashmere scarves in a variety of colours on the Edinburgh Woollen Mill site, and they’re not too expensive either! 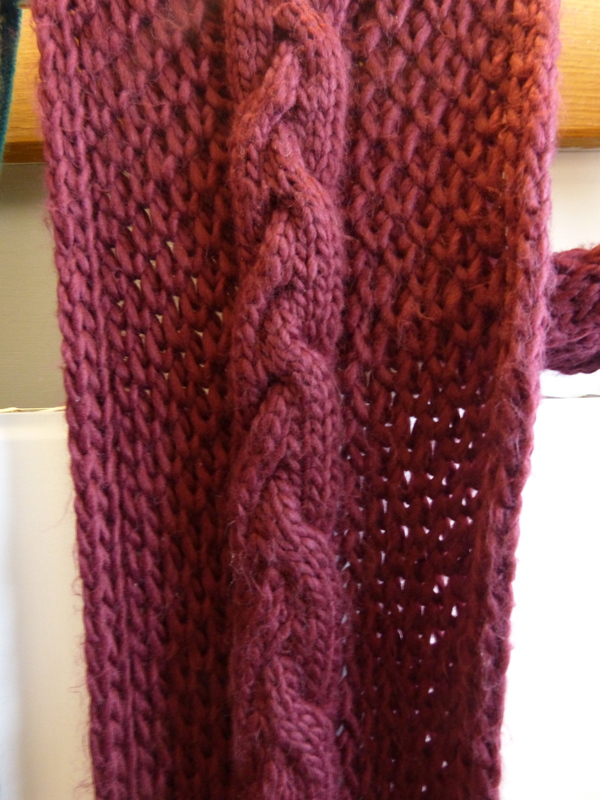 Next up, would you believe this gorgeous thick cable knit scarf only costs £4? I think that this is the star of the winter accessories range at Primark, and there’s a hat and gloves to match. It’s a really rich shade of plum, and is made of this amazingly soft material which instantly makes you want to snuggle up in it. My one bugbear is that said soft material leaves fluff on literally everything. I wore it around Disneyland for a whole weekend, and spent about half an hour combing down mine and Boyfriend’s coats of burgundy fluff – it was like a fluff explosion! Still, it seems to be over its little shedding phase now, so I still recommend it (plus it comes in navy and cream, and at that price, it would be silly not to!). Of course, you’ve got to show off your house colours. No, I’m not talking Oxford (although of course I own a college scarf), I’m talking Hogwarts! 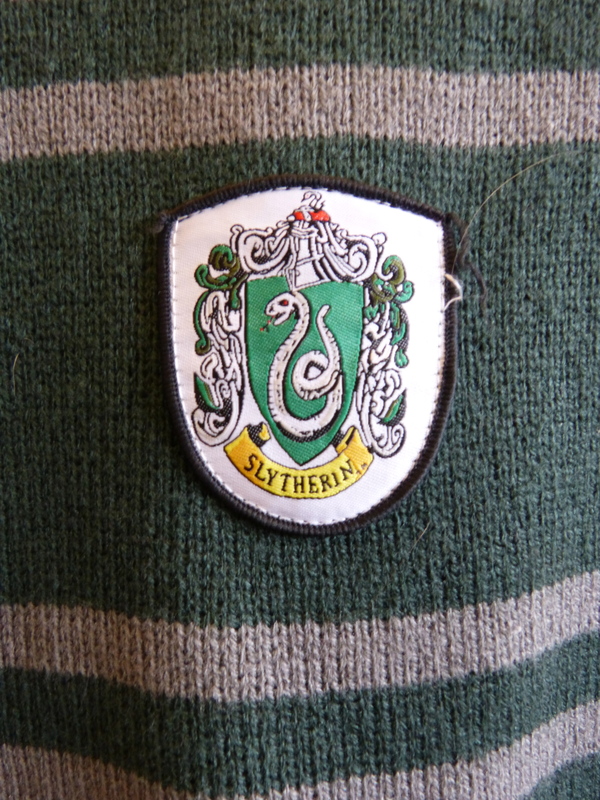 I’m a proud Slytherin, and love to flaunt it around town, confusing tourists and passers-by alike. I was actually once stopped and asked where Slytherin college was (I directed them to Jesus College, which has similar colours). 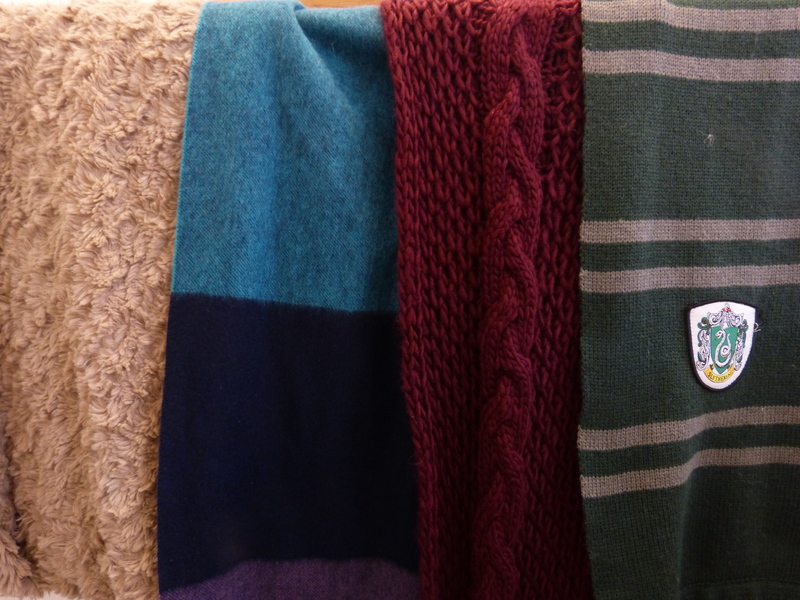 You can get the official replica scarves here, which is what I have, but there are lots of different styles, so hunt around for the design you like best (and that goes for you Hufflepuffs and others too!). Any of these neckwarmers tickle your fancy? 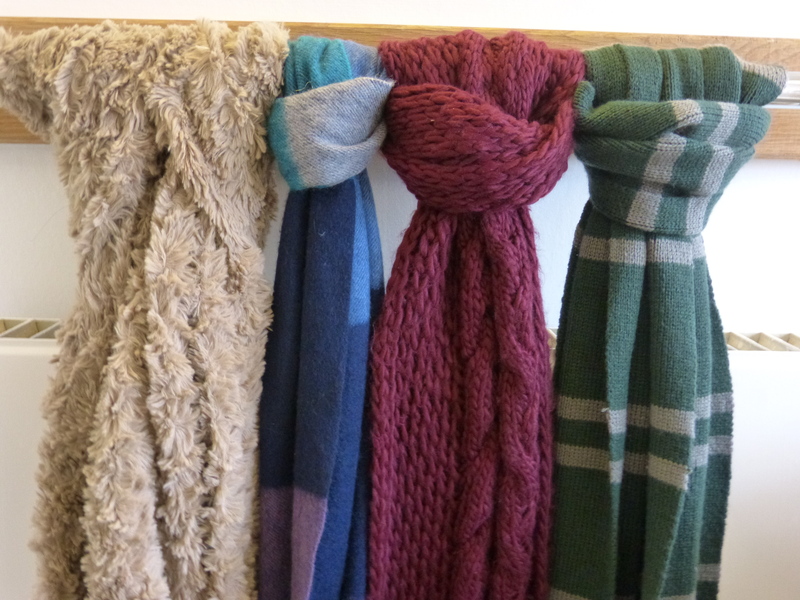 What do you favour in a winter scarf? Softness? Warmness? Show me! This entry was posted in Fashion and tagged accessories, cashmere, cashmere scarf, scarf, scarves, style, winter fashion, winter scarf, winter scarves, winter style, wooly scarf. Bookmark the permalink.